When you’re searching for Forest Heights landscaping companies dedicated to giving your home the visual appeal it deserves, try the pros at Complete Lawn Service. 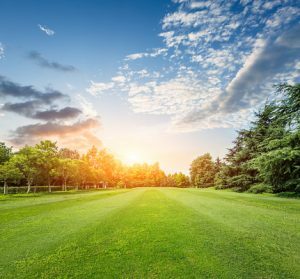 At Complete Lawn, we provide a full suite of lawn services that bring out the full potential of your outdoor space. Not only will you be coming home to a beautifully designed landscape, you’ll see an increase in your home’s resale value…studies show that homes with professionally maintained landscapes can bring a return of as much as 15% more than comparable homes. Lawn Care. We mow and edge lawns every other week, adjusting grass height to varying seasons. We can change direction wherever terrain allows and weed-whip those hard to reach areas. Complete Lawn also offers a wide variety of lawn care programs that produce a thick and green lawn free of insects and weeds, and we’ll keep your shrubs and other plants neatly trimmed and healthy. Landscapes and Hardscapes. We design landscapes with strategic placement of plants and shrubs that provide both form and function. We can also design a hardscape for your outdoor space that includes walkways and retaining walls, with proper drainage for healthy soil. Irrigation. Our sprinkler systems are designed by a Certified Irrigation Designer…designs are specific to your property and distribute water evenly with as little runoff and waste as possible. We stand by our system design and installation and can repair or upgrade it as needed. Complete Lawn offers additional services too…we can use an environmentally friendly oil spray to keep your lawn free of mosquitoes, and we use our plows and equipment to remove snow and ice in the winter months relieving you of cabin fever and freeing you to get back out again. A complete lawn service from landscaping to irrigation with a personal touch; that’s what separates Complete Lawn from Forest Heights landscaping companies. Contact us today to arrange a complimentary consultation. We’re ready to create an outdoor space you’ll love.